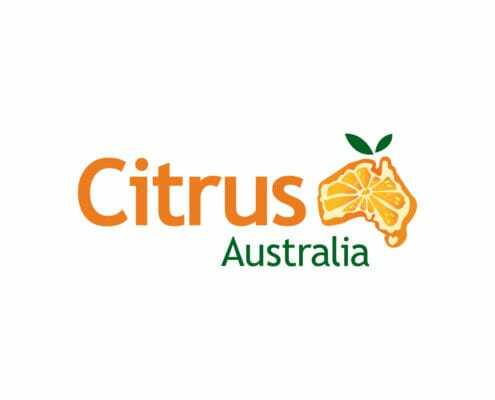 28-Apr-2016 Rising incomes in the Philippines and Thailand and a new Australian agricultural counsellor in Vietnam will benefit Australian citrus exports to both countries, according to Citrus Australia CEO, Judith Damiani. 28-Apr-2016 Australian citrus growers received welcome news this week that Korea’s Animal and Plant Quarantine Agency (QIA) has expanded its policy for Australian citrus to allow the entry of blood oranges. 28-Apr-2016 LOW-SEED versions of two popular US mandarins have been developed in Australia through the efforts of citrus breeders at the Queensland Department of Agriculture and Fisheries (DAF). 08-Apr-2016 Citrus Australia joined the Federal Trade Minister, Steven Ciobo, at Grove Juice’s bottling and distribution centre in Brisbane on April 1 to celebrate the third round of tariff cuts for exports into Japan. 08-Apr-2016 The states and territories have signed off on the Federal Government's plans for new country of origin labels, which will start appearing from July 1. 08-Apr-2016 More growers have registered more citrus blocks for export to Korea, China, Thailand and Taiwan. 29-Mar-2016 Fresh juice exports, additional domestic marketing and new products from new companies will all help stimulate the fruit juice sector, delegates were told at the Citrus Market Outlook Forum. 29-Mar-2016 Popular online sale sites, the Chinese-developed WeChat app and fruit chain stores are all helping drive the increase in citrus exports to China. 29-Mar-2016 The Philippines, home to a large demographic of young, educated people, with an appetite for premium imported products, is already shaping as an important market for Australian citrus. 11-Mar-2016 The 2016 Citrus Market Outlook Forum will be held in Sydney over two days from Wednesday, March 16. 29-Feb-2016 Austrade’s Vanessa Perez, based in the South East Asian mega-city of Manila, will share the latest opportunities for fresh produce for the growing middle-class in The Philippines, at the 2016 Citrus Market Outlook Forum, to be held in Sydney on March 16-17. 29-Feb-2016 Citrus growers have the opportunity to join the new Minister for Trade and Investment, Steven Ciobo, and Citrus Australia for Australia Week in China on April 11-15, 2016. 29-Feb-2016 Citrus disease management workshops will be held on Wednesday, March 9 at Leeton and Griffith. 12-Feb-2016 Citrus growers wanting the latest insights into export and domestic markets are urged to register for the 2016 Citrus Market Outlook Forum, to be held in Sydney on March 16-17. 12-Feb-2016 Citrus growers are now armed with information to combat a potential future threat to production. 12-Feb-2016 As part of its review of the proposal to increase the citrus R&D levy to $3.20/t and the PHA biosecurity levy to $0.30/t (a total increase of $1.50/t), the Department of Agriculture and Water Resources is providing a six week period for lodgements of objections or support. 12-Feb-2016 Australian growers can improve their competitive edge in Asia by growing citrus with smoother rinds. 14-Jan-2016 Kurt Huang will be the key note speaker at the 2016 Citrus Market Outlook Forum, to be held in Sydney on March 16-17. Kurt’s company provides a fresh fruit import clearance service in Shanghai, and his main office is located in the Shanghai Huizhan Fruit & Vegetable Market, the biggest imported fruit wholesale market in East China.